Hello, children love to sing and it helps them develop in so many ways. Would you like to develop your understanding of singing and rhymes with the under 5s? Yes, Please! Then keep scrolling to read about my online training course which will be available again, for a limited time, this Summer 2019. Register further down the page to be notified when it is next available, so you don't miss the opportunity to buy! We will cover the basics of under 5’s singing. ♪ What is the pulse/beat in music? Upgrade to Magical Music Time at a reduced price, if your wish to learn about delivering the other parts of a music time. And on the order page the opportunity to sign up for 1 month's FREE access to a selection of activities from 'Activity Ideas for ~2 to 5 Years' on 'Early Years Music Ideas'. After the first FREE month, the subscription will be £5.75; there's no contract, the subscription can be cancelled at any time. Teaching Assistant in a MLD setting. 'Singing and Rhymes with the Under 5s' is the First Module of Magical Music Time. There is the opportunity to upgrade to Magical Music Time, at a reduced rate, if your wish to learn about delivering the other parts of a music time. 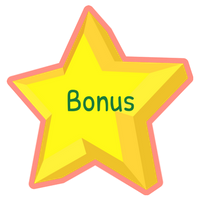 To join the Singing and Rhymes with the Under 5s Course just, when it is available, click here. You will then be taken to a payment page. 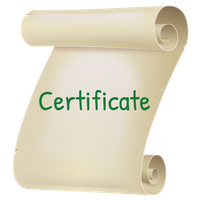 Just fill in the form and you will be given instant access to the training. Once you have paid you will receive an email with your login details and an email from me telling you what happens next (please check all folders including SPAM). Fill in your details below and you will be emailed when it is back on sale this summer 2019. Very easily! As long as you have access to the internet on a device (phone, tablet or computer) you can access the training. All the training is done on a secure website. On signing up you will be allocated a username and password. - I’ve done your Magical Music Time training, is Singing and Rhymes the same? The training is taken from week 1 of the Magical Music Time training; within the training videos there will be mention to other parts of the Magical Music Time training. There is an option to upgrade to Magical Music Time on the order page and, for a limited time. on the 'Challenge' page of Singing and Rhymes with the Under 5s. DO NOT PURCHASE THIS TRAINING if you have Magical Music Time. You already have all the information in your training. I started teaching music to the under 5s in 1998 as a qualified primary teacher and was also the school Music Co-ordinator. 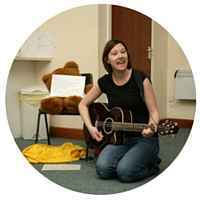 After a break from teaching, to look after my own little people, I setup Musical abc in 2008 to teach music to the under 5s. I have worked with many children and have gained and developed fun ways to help children explore music. I will be sharing my knowledge and experience of singing with the under 5s through this course.